2009 seemed to be the year of Ryan Villopoto, then the year of Mike Alessi, but ended up being the year of Chad Reed; in the 250 Class it was Ryan Dungey and Christophe Pourcel going at it all season with Dungey prevailing in the end. It was an exciting year with a lot of different winners, so would 2010 be any different? Alessi switched back to KTM, where he had enjoyed success a few years earlier. Ryan Villopoto’s attempt at getting a 450 outdoor title was over before it began when he crashed hard in SX and had to miss the entire outdoor season. Ryan Dungey moved up to the 450s, Ben Townley was finally healthy and ready to make a run at this thing with TLD Honda, and Reed was back to defend his #1 plate. The opening round at Hangtown proved to be a look at what we would see all summer. Reed drew first blood at Hangtown with a win while Alessi, on the all-new KTM 350, won the second moto to show that he and the bike were working well together. Dungey struggled outside the top five and Honda’s Davi Millsaps had another strong Hangtown effort. 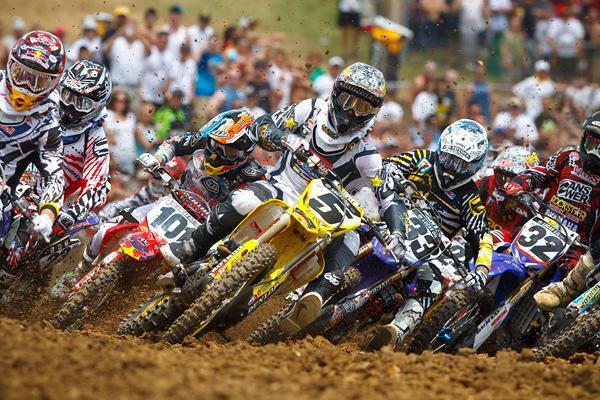 The top three were Reed, Alessi, and Millsaps, and that would be the highlight for all of these guys this summer. In the 250 Class, Pourcel was eager to get that title and came out with some speed but it was GEICO Honda’s rookie Eli Tomac who took the overall win, which was a big surprise and showed that Tomac was for real. Tomac’s teammate Trey Canard was also right there with the leaders. There was a week off after the opener, and the testing Suzuki did with Dungey paid off big-time as he swept Freestone, Texas, and his first on the big bike. That would be what we’d see the rest of the summer. Dungey started to assert himself more and more each week with his speed and his incredible fitness. Around the twenty-minute mark of every moto, he would really stretch it out and put seconds on everyone. Alessi struggled after his second-moto win at Hangtown, as the former holeshot artist couldn’t get another start on the 350. His confidence was shot and his body worn out from the USGP, his only highlight outside that first race was a third at Southwick. Reed would hang tough at Texas, suffered poor starts and a mechanical at Mt. Morris, and from there the wheels would fall off. The Kawasaki rider wasn’t the same guy he was a year before, and he would pull out of the series with an illness at Millville. 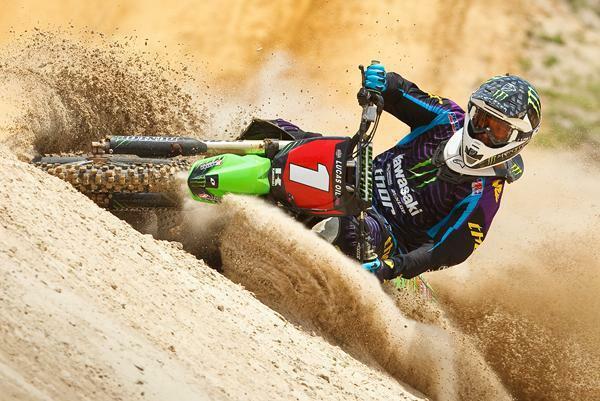 Meanwhile, Millsaps went down hard at Budds Creek and would miss the rest of the nationals with a kidney injury. 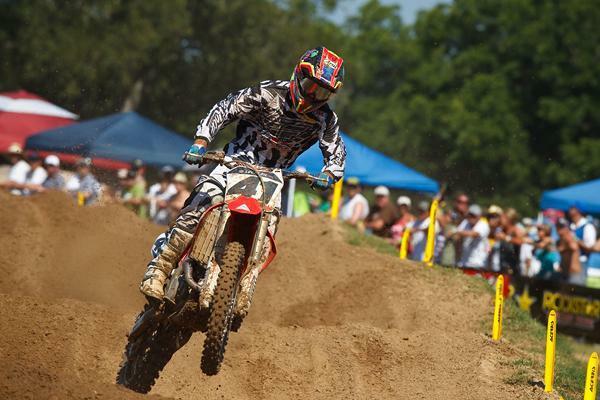 Picking up the gauntlet behind Dungey was Honda’s Andrew Short and Townley, along with GEICO Honda’s Brett Metcalfe. These three riders were there every week to try to give Dungey a run, but most times it was over before it began. 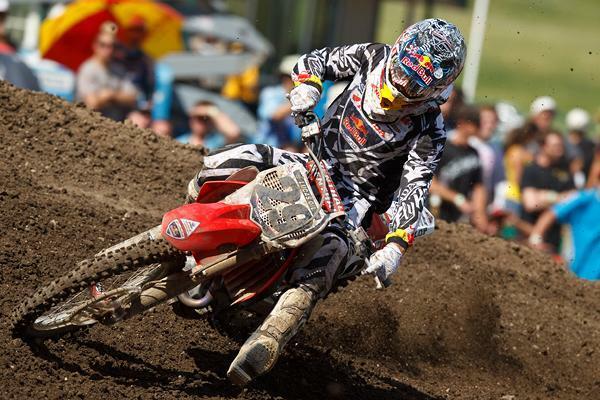 Dungey would rip off an incredible nineteen moto wins (out of twenty-four) on his way to the championship. Metcalfe came on strong and got second in the points at the final round at Pala (which replaced Glen Helen on the schedule) ahead of Short. Townley was right there as well, giving Honda 2-3-4 in the points. Other good rides were put in by MotoConcepts Yamaha teammates Kyle Chisholm and Ryan Sipes as well as privateer Kyle Regal, but it was Dungey who capped off a fantastic year, dominating the outdoors to go along with his SX title. What a season for Dungey! In the 250s, Tomac showed his Hangtown ride was no fluke, as he was in position for the win at the second round in Texas before wilting in the heat. The humidity claimed a few people on this day, and it would take a long time for Tomac to get back to where he once was. Taking the win was Pro Circuit Kawasaki’s Tyla Rattray, who had to show something or it was back to Europe for the former world champ. 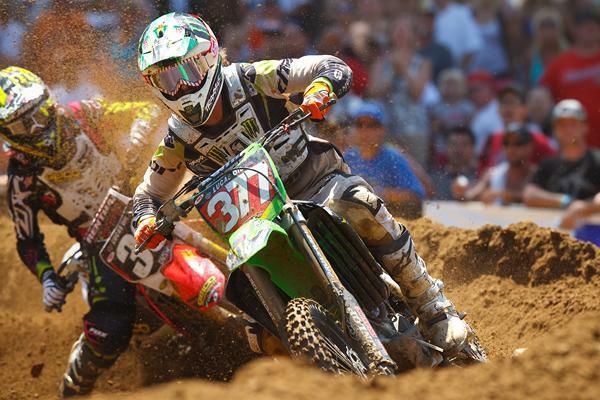 Rattray had a strong series, as did his teammate Dean Wilson, who was in his first year. But it was Pourcel who ran with it early and showed he was the class of the field early on. At times it seemed too easy for the Frenchman, as he toyed with the competition and seemed able to pass at will. At the halfway point, Trey Canard got the moto win he needed and the momentum started to swing a bit. 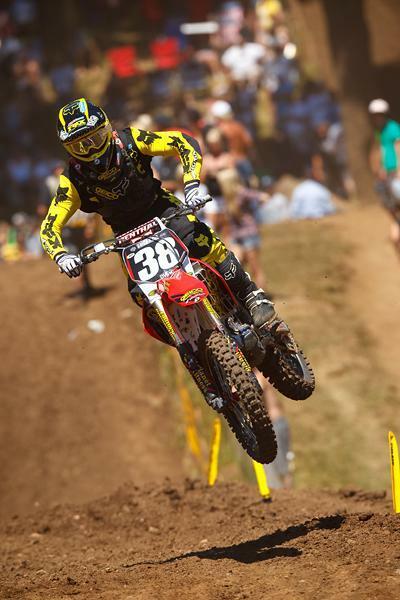 Taking confidence from the win, Canard won the next two nationals while Pourcel DNF’d moto one at Unadilla with a crash. The two riders slowly rose to the top, and the championship chase was in full effect. Canard was hurt in a crash at Southwick, and going into the last round, Pourcel had a nine-point lead, and a top-three finish would give him the title, completing his redemption from last year. In the dramatic first moto at Pala, Pourcel was riding behind Canard when Trey went down and that was it, Pourcel’s points lead seemingly secure. Of course, Pourcel then went down hard out of sight of almost anyone (no TV or still-camera photographers caught it) and separated his shoulder. It was a monumental moment in American motocross, as a sure championship was ripped once again from the Frenchman’s hands. That was it. Canard went on to win the title with a couple of solid rides. Lost in the drama was Wilson’s dominant 1-1 rides to establish himself as one of the 2011 favorites. Rattray would get Pourcel at that last round for second in the points, while Tomac rebounded for fourth and Justin Barcia was fifth. 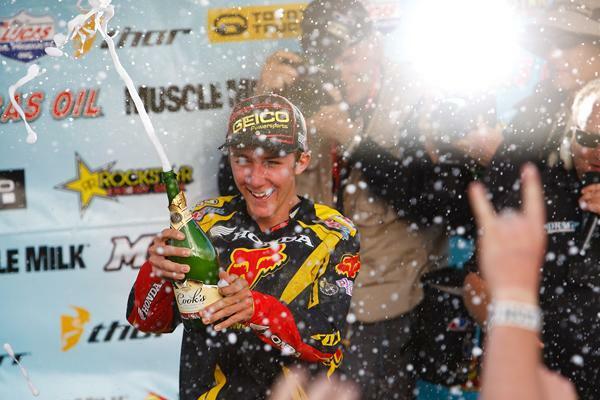 Canard and Dungey stood as champions, and as predictable as the 450 Class was, the 250 Class was just incredible. It was quite a season. And with that, our look at the history of American motocross is over. We hope you’ve been entertained as much as we have. The 2011 season kicks off tomorrow at Hangtown, where history will be made once again.